6 Commercial Real Estate & Properties in Kelso are listed in 2 categories. We have 5 Development LandsSale and 1 Industrial Warehouses Sale . "franks Block" - Significant Industrial Development Site Auction Thursday 18th Oct.. Lot 1002 Hampden Park Road Kelso, in the popular Kelso Industrial Park. Land Size 10,470 m2. Call for details. 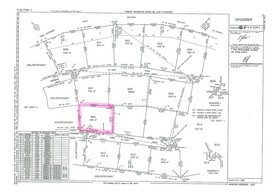 Lot 908 Hampden Park Road Kelso, in the popular Kelso Industrial Park. Land Size 6891m2. Call for details. Lot 911 Hampden Park Road Kelso, in the popular Kelso Industrial Park. Land Size 6788m2. Call for details. Lot 3 Hampden Park Road Kelso, in the popular Kelso Industrial Park. Land Size 13,672 m2. Call for details.